I'm going to Drupalcon Barcelona: see you there? I'm going to Drupalcon Barcelona in late September, and hope to see lots of new people there: maybe you, dear reader? I'm doing this, by the way, despite the fact that I'm meant to be moving house four days before I have to set out. Should you go to the European Drupalcon? Well, I've written before about the reasons for and against attending Drupal's flagship events, and you can read that if you're not sure. Suffice it to say that, while they're expensive, there's no other event in the year quite like them. In short: if you've never been before, you should probably go; if you've been a few times before then the decision is less clear-cut, but at the same time you've probably got a stronger personal opinion about it! 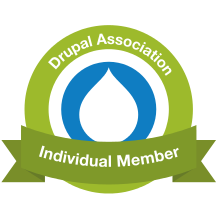 Personally, I love meeting both new people and also the community I've been slowly drifting towards ever since my first Drupalcon in 2009. And while a lot of the talks are about topics I've heard before, there'll nonetheless be new ideas and solutions discussed; plus there's the ever-changing and ever-exciting informal BoF track (still a work in progress); even better, this Drupalcon will be hosting an exciting new approach to the Community Summit. With any luck, there'll also be a Drupal 8 release to celebrate...! Given the house move, and also because I'm visiting family near Barcelona for a day or two afterwards, I won't unfortunately be taking part in this year's Tour de Drupal cycle ride arriving into Barcelona on the Sunday beforehand. It's a real shame, as it already sounds amazing! But I am going to be travelling all the way from (hopefully) Sheffield to Barcelona by rail: booked via Loco2, with supplementary information from The Man In Seat 61. Ask me on Twitter if you want any more information about that. Otherwise, I really can't wait for Drupalcon Barcelona. The very thought of it is keeping me going as I plough through our house-move planning. Not long now!